The art of propelling the ball towards a batsman standing 22 yards away to trick him from playing it and hitting the stumps has been evolving with the technical changes incorporated by the batsmen. With the evolution of the game, the art of bowling has also evolved to a great extent and the art is evolving at a rate faster than ever due to the introduction of T-20 cricket. MECA experts have classified bowling into many sub-skills, which are timely audited for measuring the bowler’s skills. 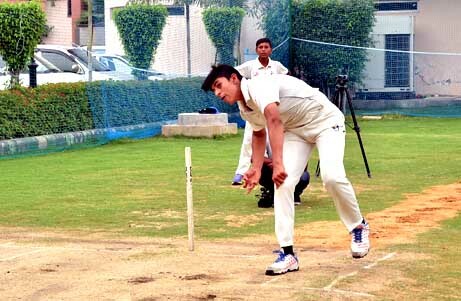 After the initial goalsetting, the budding bowler is trained extensively in gruelling net practice sessions. They are trained through ultra-slow motion HD footages of various blowers and rigorous practice sessions to build the strength as well as acumen for the art. MECA has state-of-the-art facilities for gauging each and every aspect of the bowlers’ parameters.